From spam phishing to spear phishing, employee education is still your best weapon. Phishing attacks continue to be one of the most common cybersecurity risks organizations face. According to a recent study of 11,000 organizations, 27% of employees clicked a simulated phishing email link or opened an infected attachment during a testing campaign. Your organization is only as safe as your least security-savvy employee. That’s a scary thought, isn’t it? 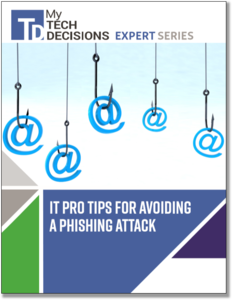 Our new download “IT Pro Tips for Avoiding a Phishing Attack” describes the wide variety of possible threats such as spam phishing and spear phishing. It also provides five concrete steps your organization should take to respond to a phishing attack. 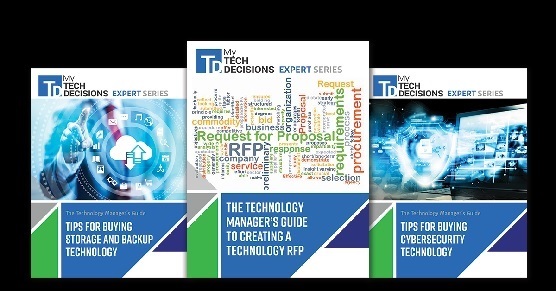 Get your copy of our new guide today to arm you IT staff and employees so you can better protect your organization.